This morning we headed out to Independence First, a disability equipment provider. For the next three weeks, we have on loan a combination wheelchair and bicycle. They call it a Bike Buddy. Of course, as these things go, there was a lot of paperwork. When that was all said and done, though, I took Namine on a test drive around the parking lot and on the sidewalk. She loved it. I really wasn’t sure what to expect when I climbed on the bike, which is situated behind the wheelchair. It was more difficult to pedal, but not overmuch. Getting going was the hardest part. Once we were moving, it got easier. I needed to give myself a wider berth for turns, too. As for stopping, I had the use of both hand and pedal brakes. 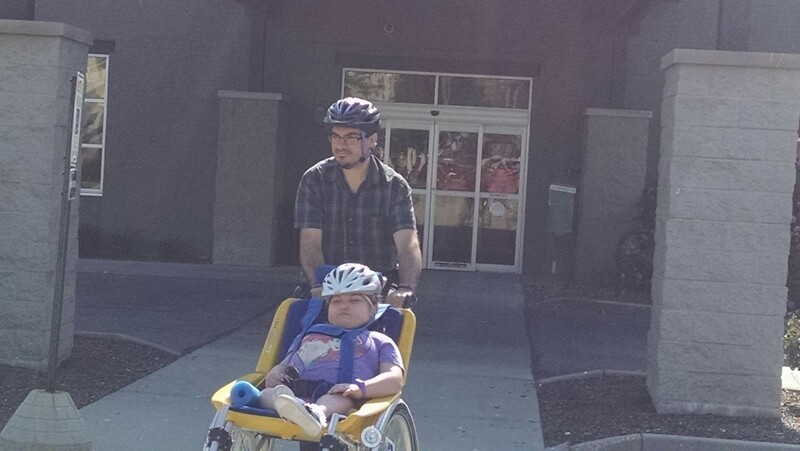 We have the Bike Buddy (both the wheelchair and the bike trailer) for nearly all of this month. 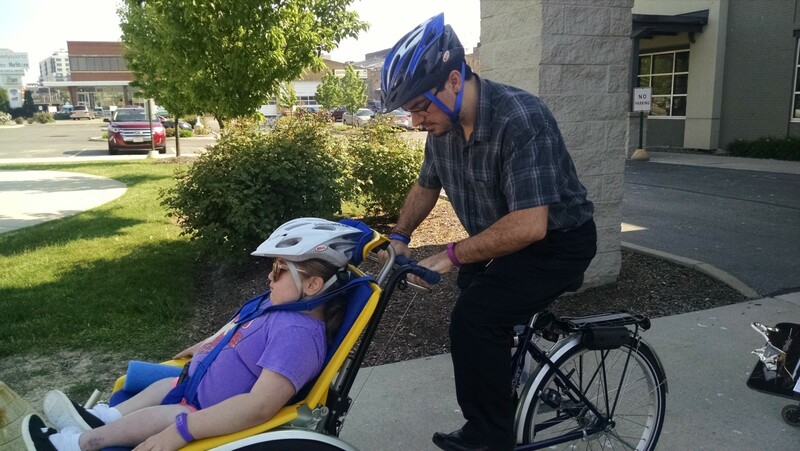 There are some nice trails by our house, and although they’re a little too gravelly for running with Namine’s wheelchair, I think they’ll serve nicely for the bike.